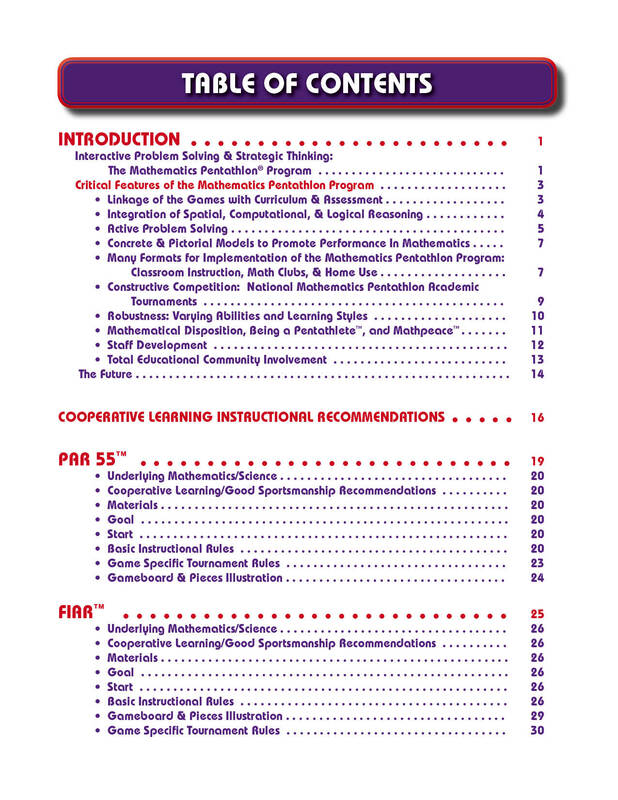 This is the Official Division II Rule Manual for 2nd and 3rd Grade. 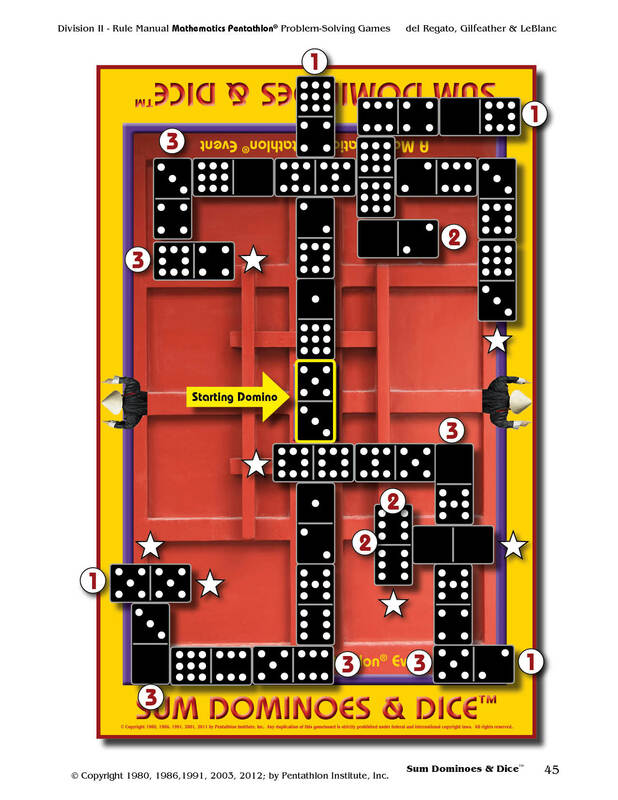 NOTE: One Game Manual is included with each Game Set purchased. 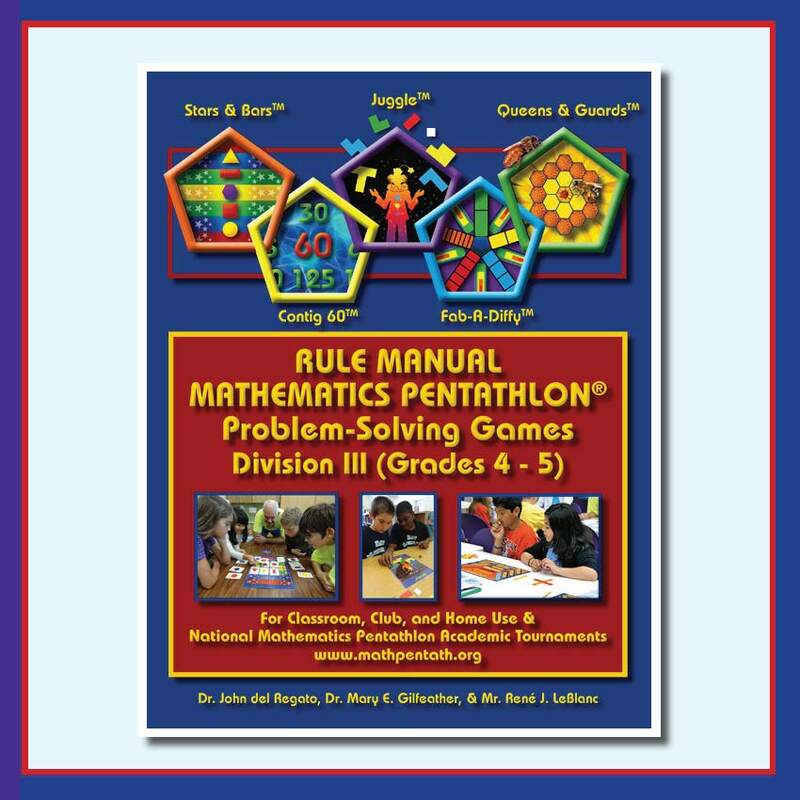 The Game Manual for Division II (2nd and 3rd Grade) provides basic rules of how to play the five games within a Division, the rules for Academic Tournaments, and instructional recommendations. 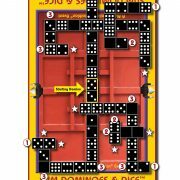 This manual is a MUST buy if you are teaching students how to play the games. 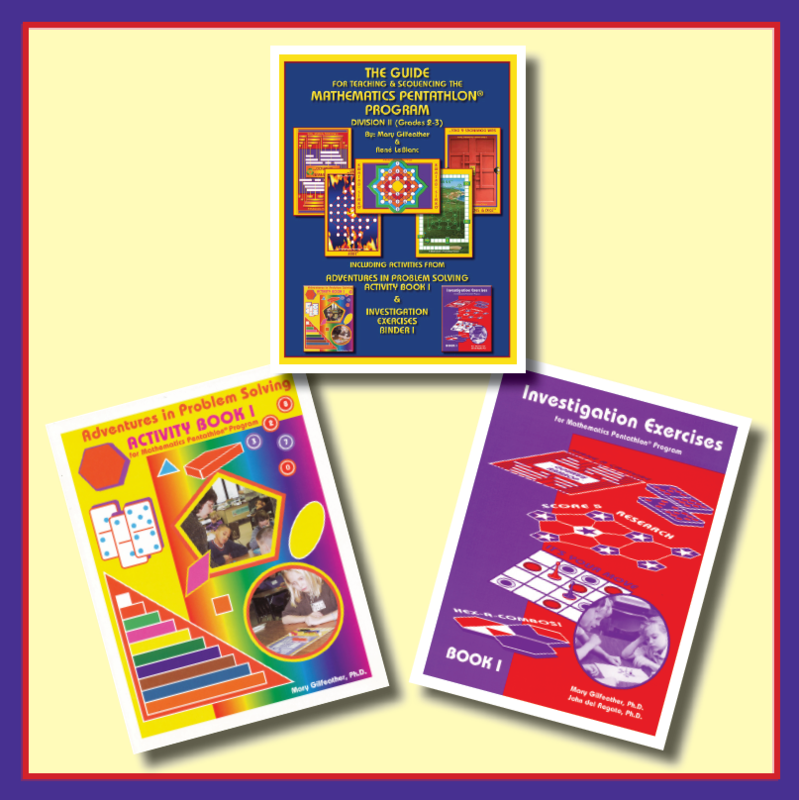 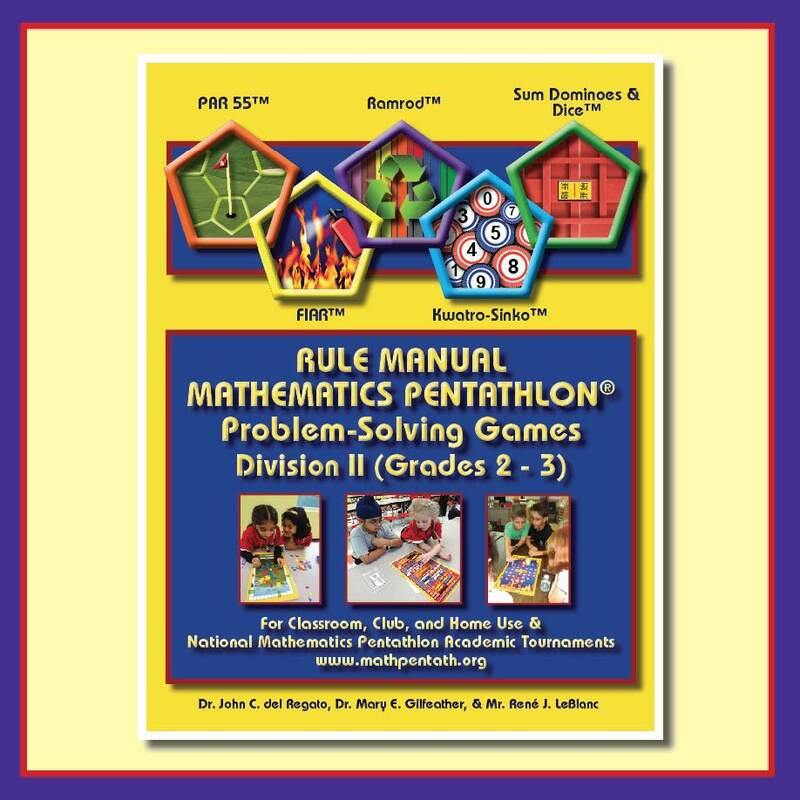 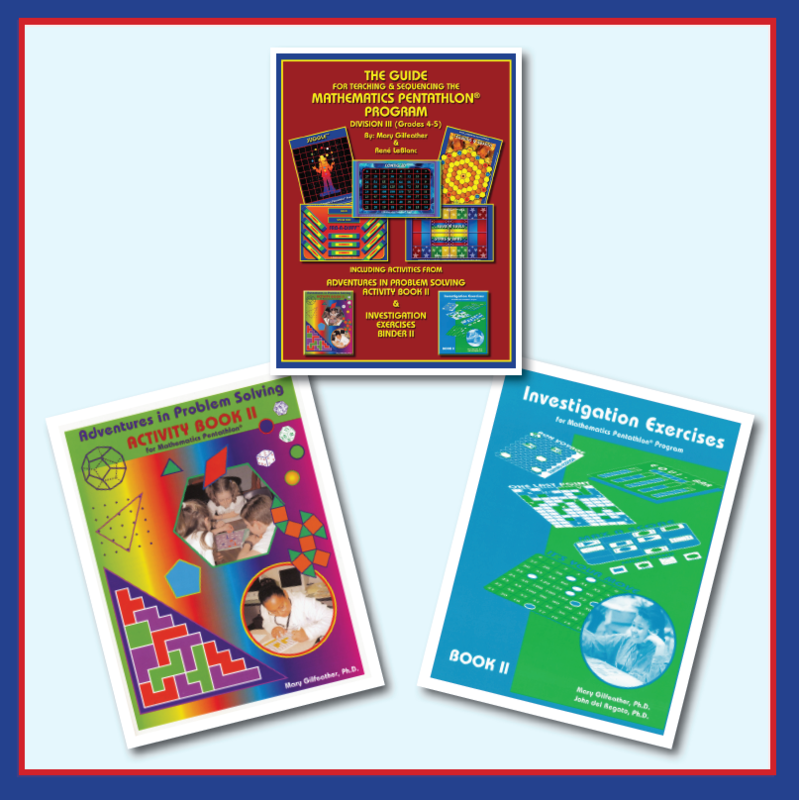 INCLUDES: 1) Overview of the Mathematics Pentathlon Program; 2) Suggested Plan of Essential Instructional Activities; 3) Underlying Connections to Math/Science; 4) Materials List; 5) Basic Instructional Rules; 6) Tournament Specific Rules; 7) Templates of Materials; 8) Miniature Copy of Each Game Board; 9) Month by Month Instructional Sequence; and 10) Scope and Sequence Chart.